Lease agreements are a special type of agreement where the landholder and tenants define the legal and fiscal nature of their relationship. This agreement also contains various rights and obligations which are mutually agreed to by the contracting parties. 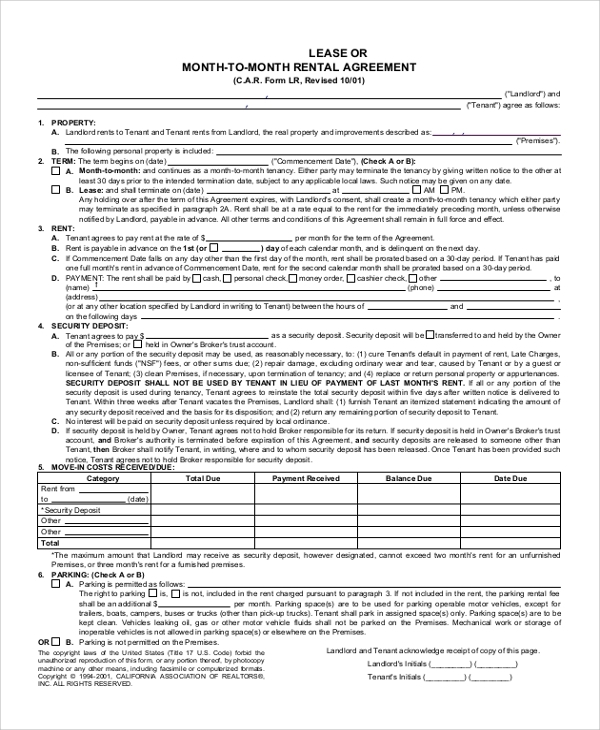 Lease Agreement Samples are usually classified on the basis of when the payable rents are due. Here, we confine ourselves to a list of sample lease agreements where the rents are paid month to month. 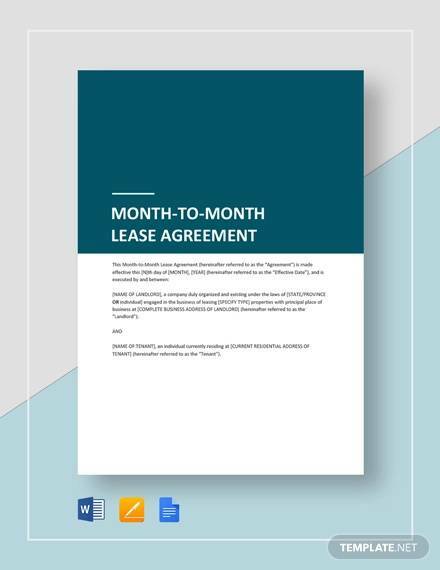 This lease agreement has the mutually agreed provision whereby the tenant is able to pay the rent for the leased holdings once in every six months until the lease’s expiry. 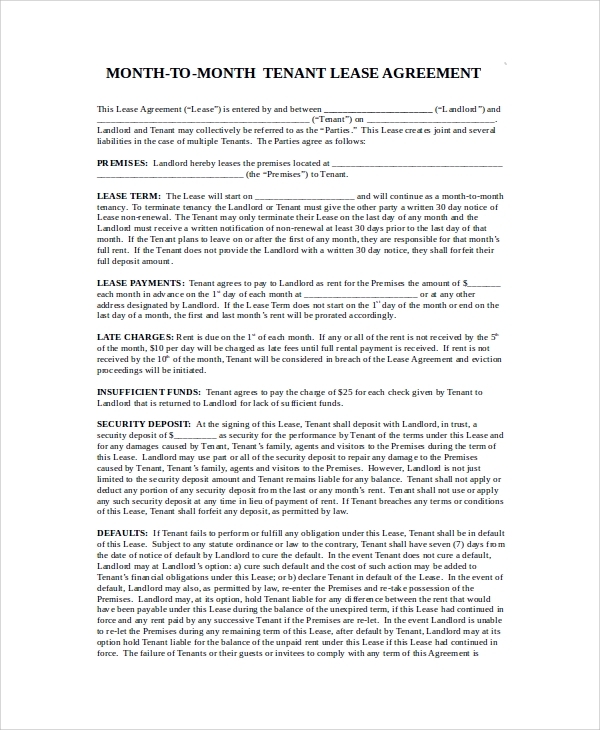 This kind of lease agreement requires the tenant to pay the rent amount, fixed according to the term of the agreement, to the landlord on a month-to-month basis. 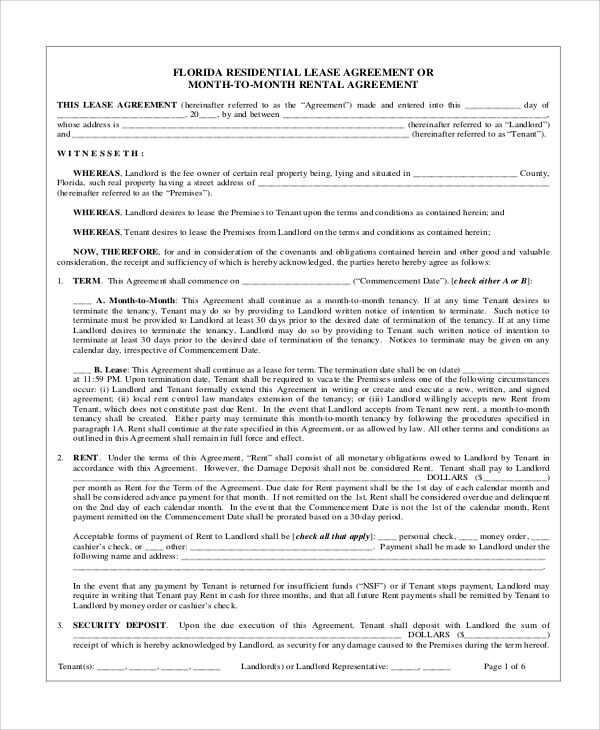 This type of lease agreement enjoins the tenant to pay their rents for the rented apartment to the landlord on a month to month basis until the lease expires. 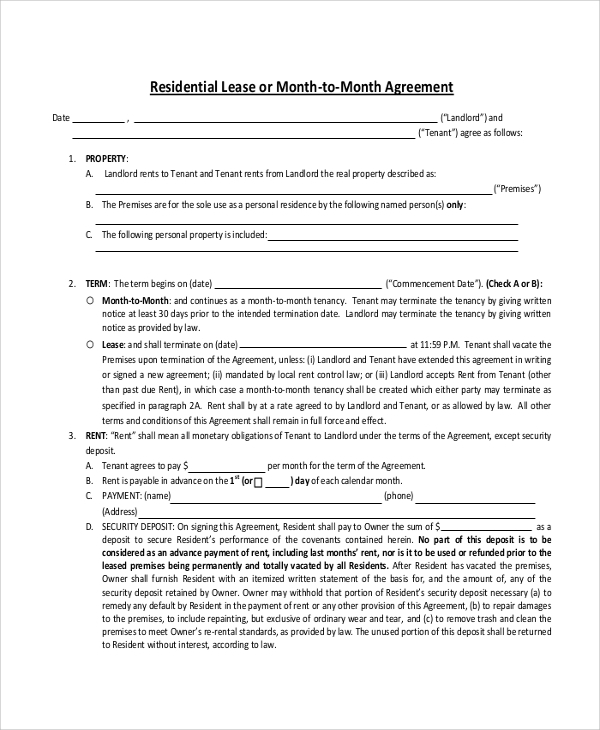 You may also see Apartment Lease Agreements. Lease agreements are an important tool in the legal sphere, so it is important to have one while leasing a property or holding to a tenant. By making the mode of paying rents in a monthly basis, the landlord has the upper hand as he is able to get the stipulated rent in the space of one month until the lease’s expiry. For the tenant, the Lease Agreement is useful for producing it in a court of law if there has been any breach of the agreement on the landlord’s part, with regard to the period of the rent’s payment. 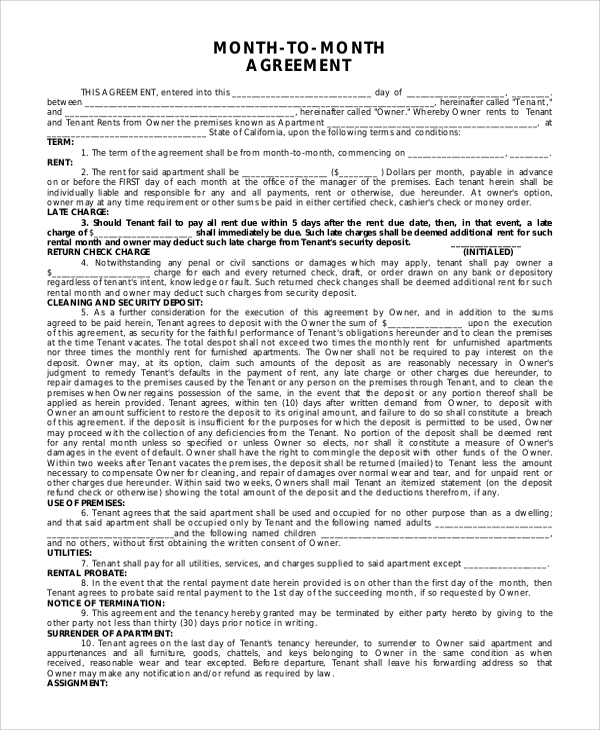 This kind of lease agreement allows the tenant to reside on the leased premises according to the terms of the agreement and on the payment of a pre-decided rent on a monthly basis. 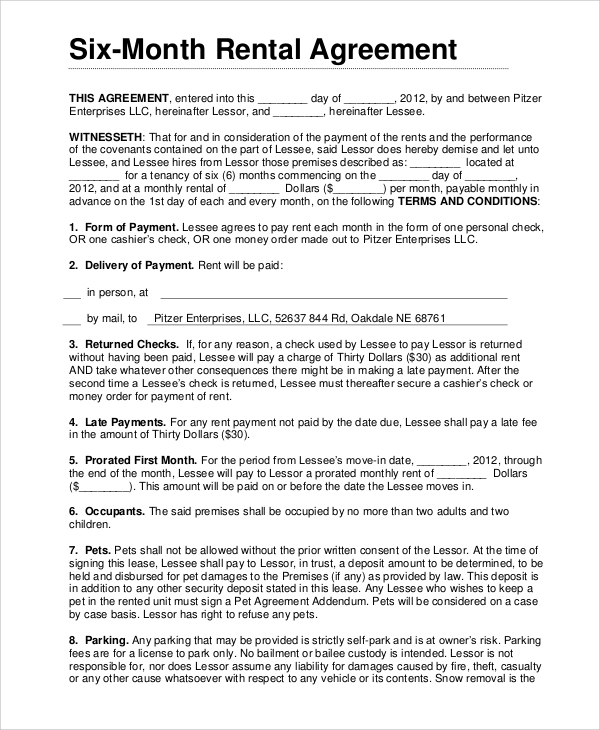 You may also see Residential Lease Agreements. The lease agreement can be prepared in the format of a form, where the contracting parties are able to insert their personal details for legal purposes and list the monthly payment of rent. 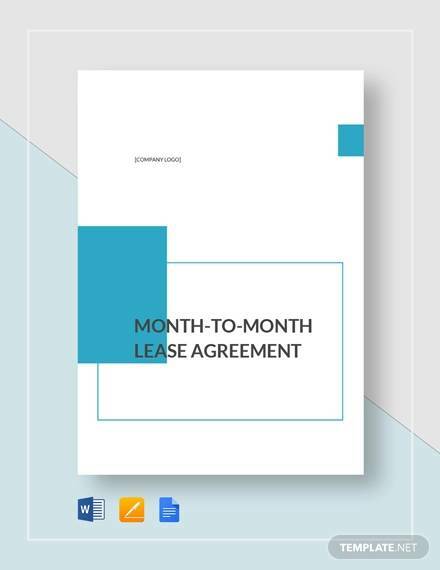 The Sample Lease Agreements are aimed at both landlords and tenants who have mutually agreed to the payment of a stipulated rent over a specific period of time that is in this case, in a period of a month or some more months. 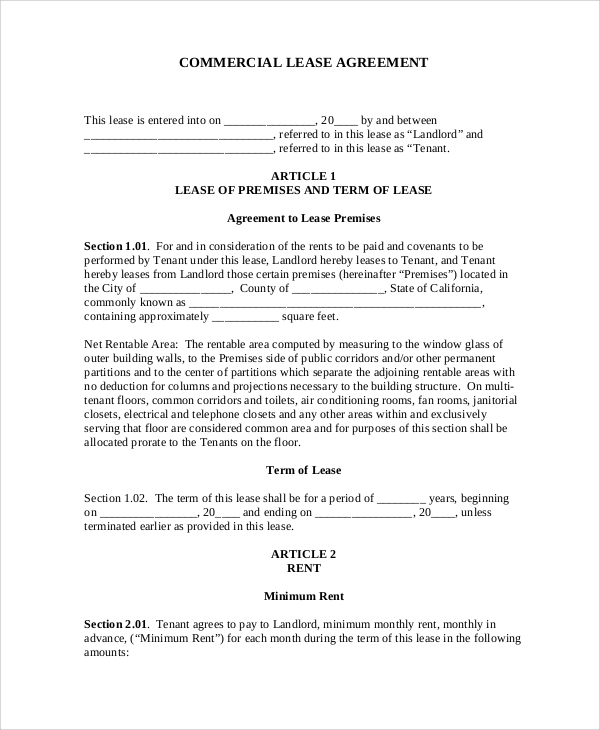 Obviously, such a lease agreement is beneficial to both parties as it binds the landlord and the tenant to the covenants of the lease agreement with the mutual assurance that neither would cause a breach of the agreement and would maintain the agreement’s provisions until its natural expiry as previously agreed to by both the parties mutually and consensually. We have a large range of sample Month to Month Lease Agreements, from which you may choose the one which suits your purpose. Our templates are completely editable, which means you can insert and edit any kind of information you wish to provide, allowing for the template to be used as a lease agreement.